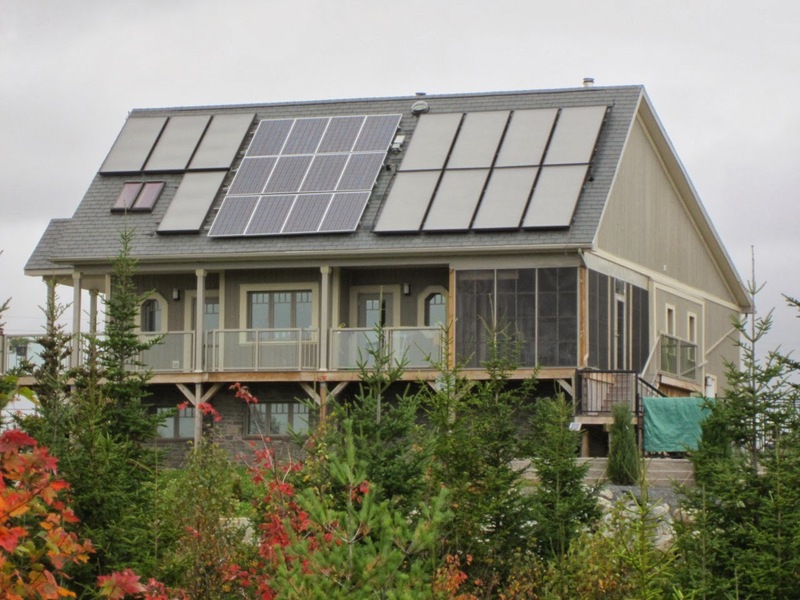 The first thing you might notice about my parents house just outside Halifax in Nova Scotia, Canada would be a large bank of solar collectors on the south side of their steeply pitched roof. 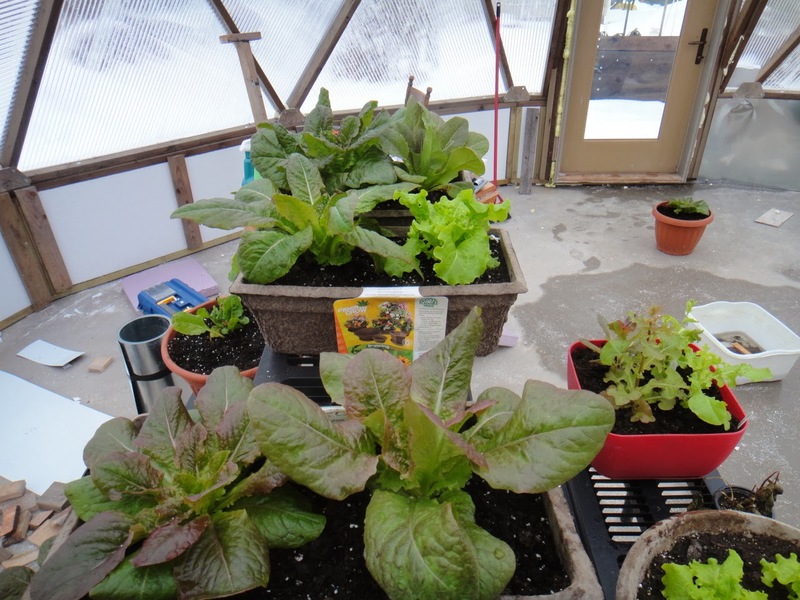 The next being the rather large dome-shaped greenhouse, still under construction, although fully enclosed enough to be protected from most of the harsh winter weather and currently supporting a rather healthy looking crop of lettuce. 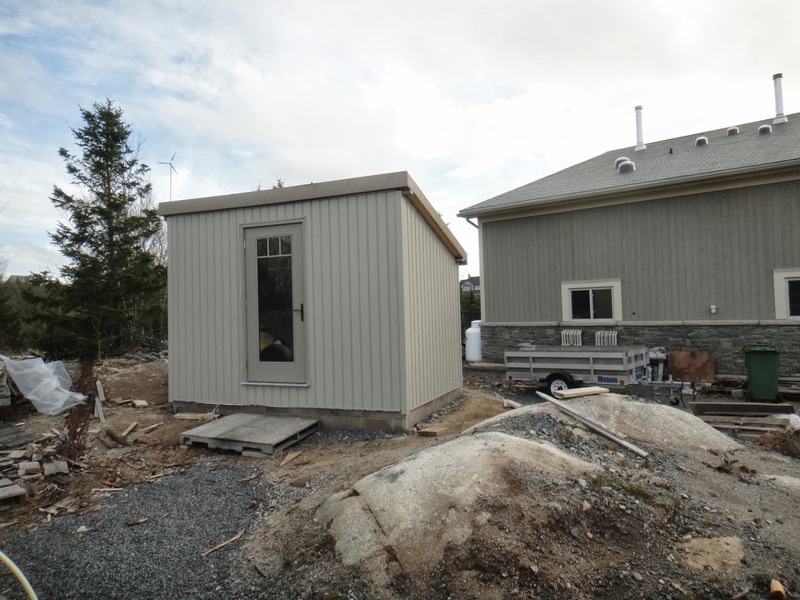 A solar-powered wood drying hut sits just in front, finished to look like a mini me of the larger house. Nearby are long raised vegetable beds, and in the far background a small wind turbine. The rest of the house looks in keeping with the local architecture, a mixture of wood siding and local rock for the lower portion. A screened in porch and wrap around verandah complete the outside. Inside, it looks like a perfectly normal house. Nothing missing or noticeably different from any other on grid home you might visit. They have a dishwasher, a front loading washing machine, laptops, wifi, and a TV. The first two are run on sunny days, and the rest can be run on the large stores of batteries they have in the basement. A large black wood stove sits in the kitchen, which in the winter runs nearly constantly and is almost the sole source of heat for the house in conjunction with the solar panels on sunny days.It is warm, cozy and bright inside, with a large wrap around kitchen and island extending out into a large seating area and living room taking up the majority of the main level. Two modest sized bedrooms complete the main floor level, and an upper loft serves as both TV space and office for my mother. My father has the basement portion of the house, and he has it complete with workshop, storage area, office, and cold room (to store preserves and the homemade apple sauce they make each autumn). Small things are the ones you notice most after a while. Remembering to turn off lights in rooms as you leave proved challenging for me at the beginning of my visit. All the hot water for the house is made by either the solar thermal panels on the roof or by running the wood powered boiler. Thus showers are shorter but still not rushed, with the boiler getting run only about once every week to ten days if it’s cloudy. On a typical day, the first thing done is to restart the AGA wood stove in order to make coffee and toast for breakfast and to take any chill off from the evening. After that, the AGA gets about 1 log every hour, which keeps the house at a nice temperature of about 21 degrees. 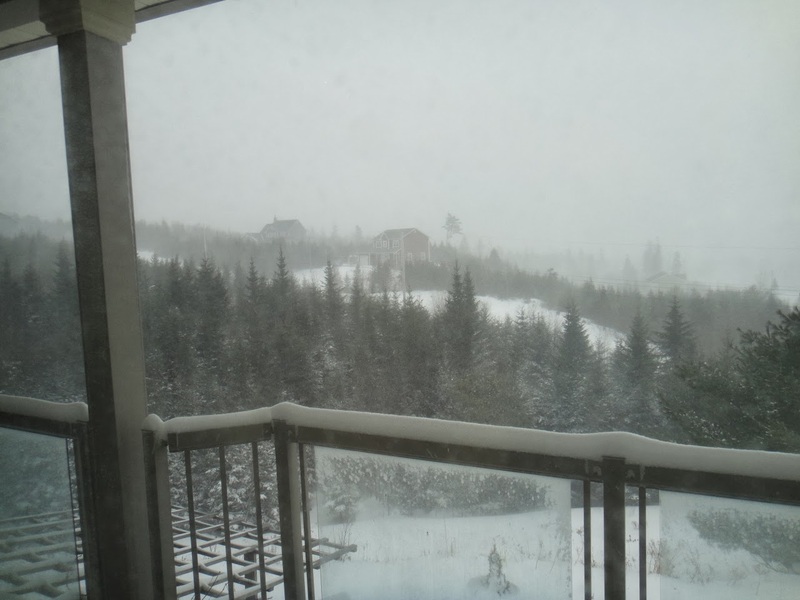 And considering that at the moment there is a howling blizzard whipping around outside our windows that has shut down the entire city of Halifax, having one wood fired stove heating an entire house is a pretty awesome experience. I quite enjoy tending to the AGA, there is something about the crackling wood that makes it far more enjoyable than simply turning on an electric stove. 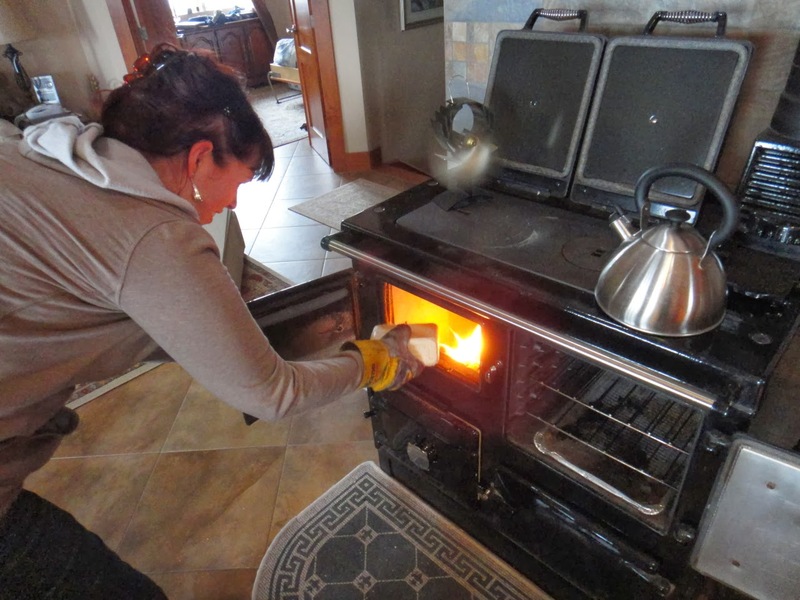 My mom prefers to do most of her cooking on top of the wood stove in winter, although they also have a gas-powered cook top and oven for use in the summer. All the contraptions my dad has in the basement for controlling the PV solar panels, solar thermal panels, hot water tanks, and boilers, is impressive. I barely understand even a fraction of what he tries to explain to me, but I feel in good hands for when I get solar panels on my own house, that I have the right man to take with me to the solar companies. Not only are my parents busy around their house, but they are also very involved with the local community, both being members of the local St.Margarets Bay Transitions chapter, and also starting up a local farmers market around two years ago that has taken off and going strong. Summer time means lots of gardening in their raised beds, and constantly improving on things around the yard. Last summer alone they planted two large peach trees (and made the raised beds to put them in), two spruce trees, a rock garden, and two additional raised beds currently filled with garlic awaiting the spring thaw. I still have a few more weeks left in Canada, and always enjoy visiting my parents, both as I always find what they are managing to do on their own rather mind-boggling, but it always gives me inspiration on what I can adapt to my own house when I get back to Perth. 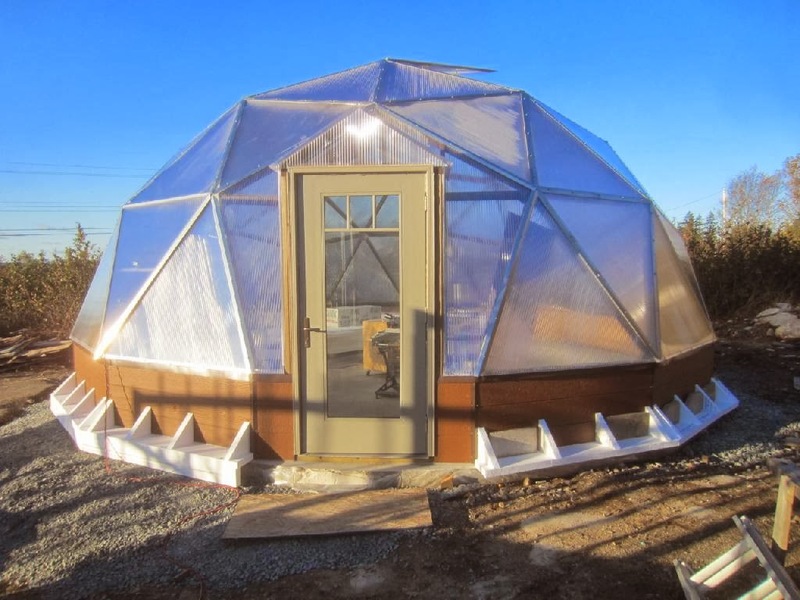 If your keen to check out a lot of the goings on around my parents place my dad keeps a blog of his own – with lots of detail on dome construction amongst lots of others which you can check out here. This blog first appeared on Barbaloot Suits and Garden Boots by Transition Town Guildford member Kim Farnell. This entry was posted in Energy, Peak Oil and tagged nova scotia canada, Off-grid, self-sufficency, Sister Transition, wood stove. Bookmark the permalink.